By default, Sky view only shows one satellite – the one you have selected. To see more than one satellite, turn on the Show All Satellites option in the Settings. With this turned on, you can tap a different satellite in the Sky view to select it. 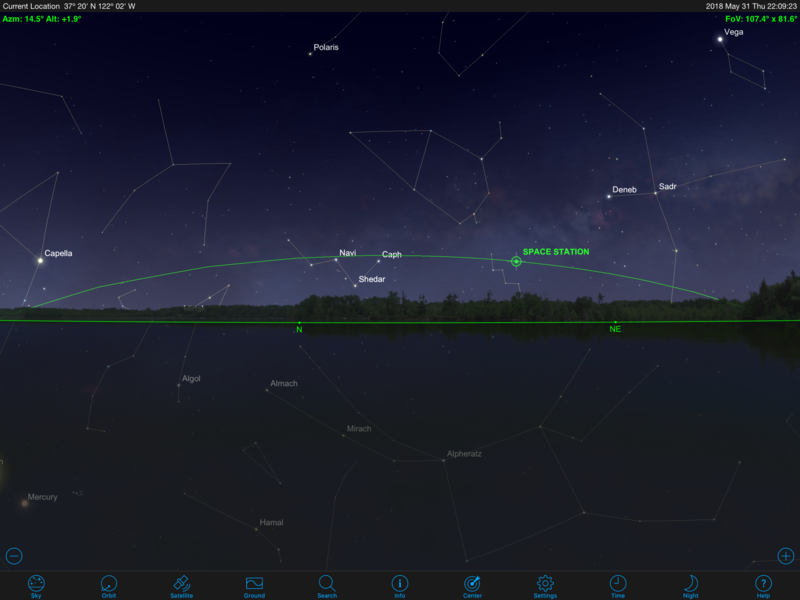 You can animate the Sky view to see how satellites move across the sky as time flows. To do this, tap the Time button in the toolbar. To keep your satellite centered on the map as it moves, tap the Center button. See the Time and Center help sections for more information.